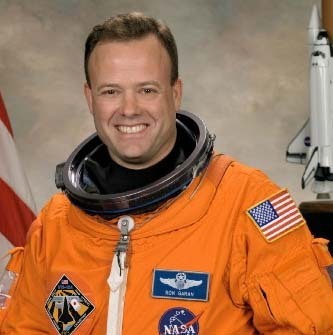 In celebration of Gov 2.0 Hero Day, I want to highlight a few visionary ROCKet stars at NASA: Robbie Schingler, Nick Skytland, Chris Kemp, Astronaut Mike Massimino, Astronaut and Innovator Ron Garan, and Sean Herron. Nick Skytland: Project Manager, Johnson Space Center. I first met Nick at the 2007 Participatory Exploration Summit that Space Operations Mission Directorate and Innovative Partnership Office sponsored out at Ames. Nick is another energetic creative visionary at NASA. He and Robbie have teamed together for multiple Gov 2.0 collaborative projects including CoLab, OpenNASA.com and Random Hacks of Kindness. Rumor has it that NASA astronauts consult Nick on how to use Twitter effectively — but you didn’t hear that from me. He’s the Powerpoint Communications King. 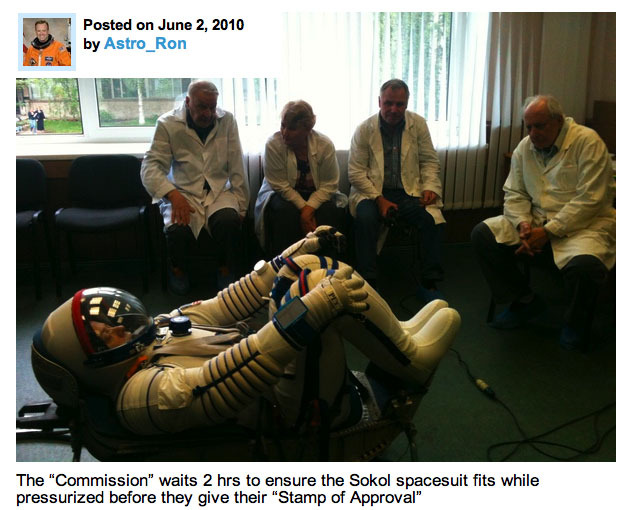 With a few simple words and pictures, he makes clear how social media can change how we do business at NASA. For me, Nick’s main claim to fame was snagging the @NASA account back in 2007 and holding it until the agency was ready to adopt Twitter as a communications tool. Twitter: @skytland. I’m always on the lookout for game changers — ideas, technology, people. Robbie, Nick and Chris are passionate, energetic change-agents. Through the last few years, these three guys really taught me a great deal about the endless possibilities for change that social media offers. We’re lucky to have them at NASA. “Since the Kyoto Protocol was established, only a very small percentage of the carbon market has benefited developing areas; with Africa seeing only 2.5%. We believe economic sustainability and large scale success can be born from an innovative development model that leverages the emerging global carbon credit market and integrates advances in renewable energy, water purification, and other renewable technologies into a comprehensive and compelling offering.” —Ron Garan, Director, Manna Energy Ltd. Yes, I notice that I’m only highlighting men. We have a number of game-changing women in leadership in the IT arena, but I don’t travel in their circles. I hope others will celebrate their Hero-ness today, as I celebrate these Gov 2.0 Guys. Thank you Robbie, Nick, Chris, Mike, Ron and Sean for leading the way to NASA’s future in the Social Space Frontier! I have had the pleasure of working with Chris Kemp, Robbie Schingler, Nick Skytland and Sean Herron and could not agree more with your sentiments, Beth. It is wonderful to see so many smart and dedicated people working hard to make a difference and breathe new life into the Agency. So much has already been achieved and there is much more to come. Thank you Gov 2.0 heroes! Its too bad that some of your nominees (Schingler, Skytland) go out of their way to exclude (or avoid inviting) taxpayers from official NASA events that they participate in officially. But since this is all about Gen Y we can never be critical of them, now can we? Can we communicate better? Absolutely. It’s not what NASA does best, though we’re getting better over the years. I appreciate the spotlight you focus on us. We can always improve. Some NASA-sponsored events are small due to budget considerations, or simply because we’re trying something new and need to work out the kinks before we make a big splash. Some events we can’t tell the world about because of political constraints from the White House or internal NASA politics. What can seem like a simple decision from the outside can be painfully contorted and convoluted on the inside. It’s our culture. As to Gen Y, I appreciate creative thinking and learning new tricks of the trade–at any age. Brain vitamins for me! I like to find good people/things and celebrate them. In our culture, we navigate enough poison-spiked walkways and steel-tipped arrows at every corner. I do what I can to help fresh new ideas succeed. I am ever-thankful for those at NASA who gave me cover when I tried something new. We need to have coffee. Seriously. Beth these folks constantly do this. I let you know – again and again – and they still do it – and you fund them (right) and only speak of them in glowing terms when indeed they still have a long way to go. RHOK – zero PR. NEEMO – selective engagement with some – not with others. Eventually this behavior will become self-limiting for others who actually seek to make government truly open instead of the “closed openness” that is being practiced. You constantly offer excuses – but never solutions.